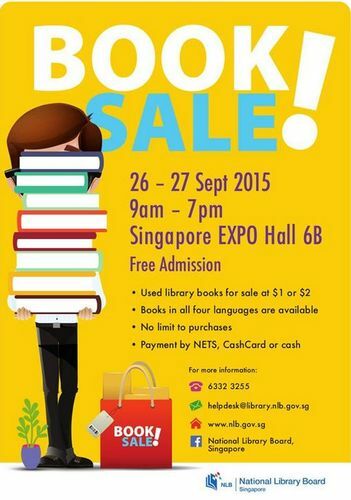 The Library Book Sale is back by popular demand! Choose from a large collection of library books at low prices. Used library books are for sale at $1 or $2. Books for all ages are available in all four languages, and in a wide variety of genres. Payment by NETS, CashCard or cash only. Admission is free. If you have any further enquiries, please email helpdesk@library.nlb.gov.sg or call 63323255.